This entry was posted on September 13, 2017 by nigel borrington. 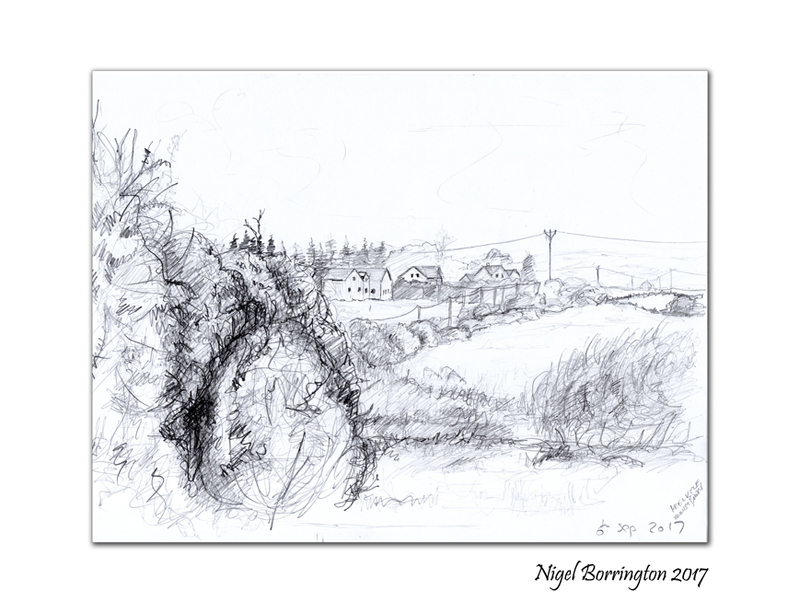 It was filed under Art and craft work, drawings, Gallery, Landscape, pencil on paper, Sketch book work and was tagged with art work, county Clare, drawings, Ennistimon, Nigel Borrington, pencil on paper, Sketch book work, The view from Keelkyle cottage. You have a lovely blog. Thanks for following me, and I’m now following you as well.